Premier location with one of a kind views! 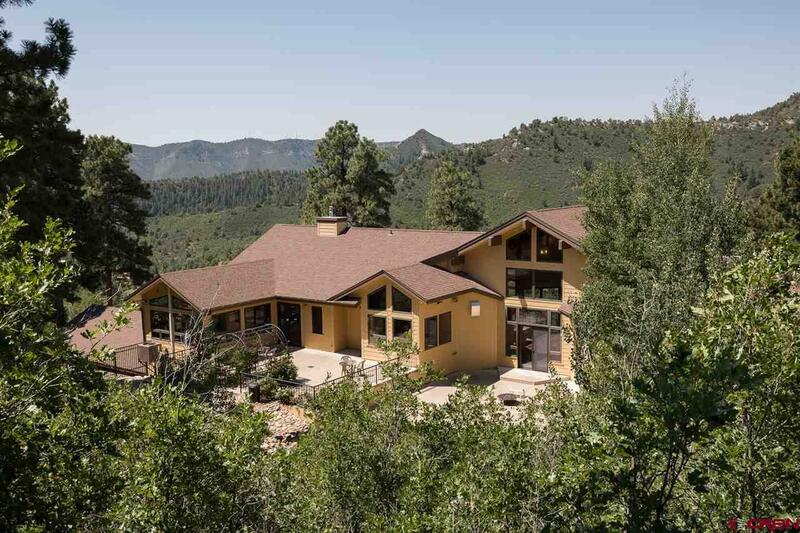 ROCKRIDGE: The most sought after neighborhood within Durango city limits 10 ACRES with 360 degree views of Perins Peak, the La Platas and the twinkling lights of Durango below. Minutes from schools and town, yet in a world all your own. 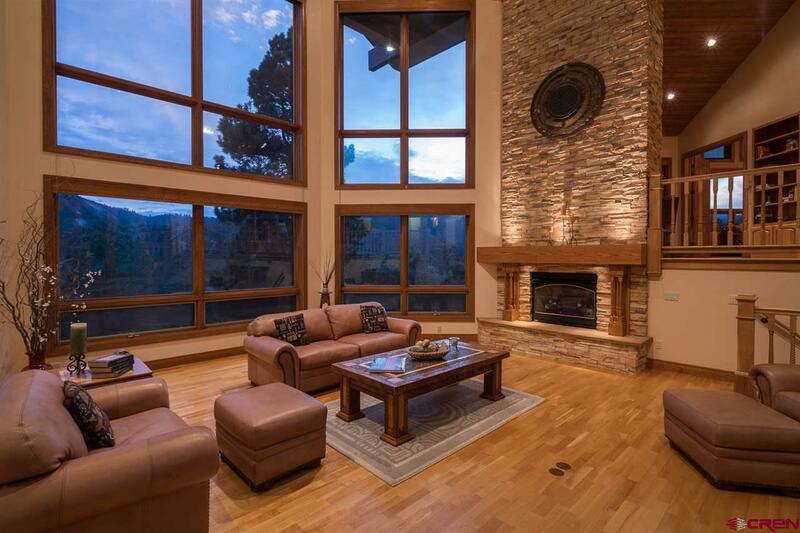 Nearly 7500 SF, 4 BR and 4.5 Bathrooms and 4 fireplaces. Eat in kitchen: Cherry cabinets, center island, granite slab, Viking 6 burner stove, Bosch dishwasher, walk-in pantry and dumbwaiter. 28FT high soaring foyer and living room with floor to ceiling stacked stone gas fireplace, dramatic uplighting built into mantel. 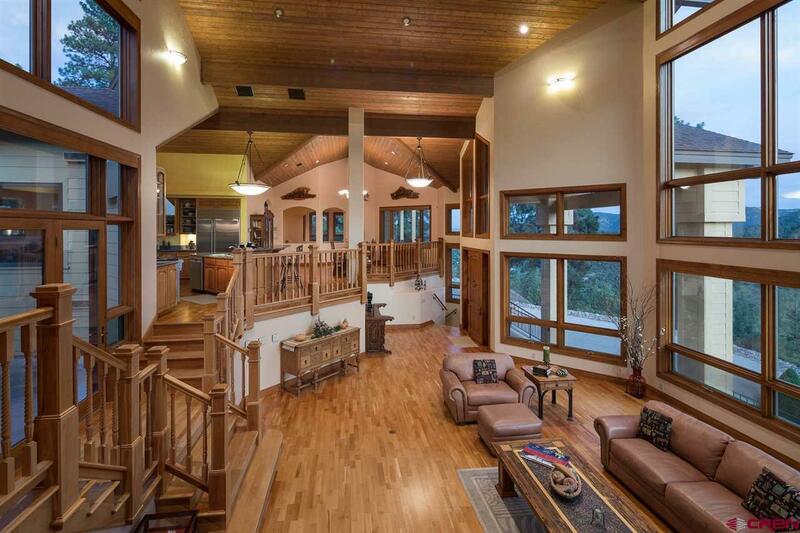 Wall of windows to take in views, access to patios from many rooms. Formal dining area with built in buffet and glass cabinets, game room/den has 3 sided fireplace , glass enclosed spa room with indoor hot tub exits to amazing trellis rose garden in back. Enormous Master BR/en suite bath, 2 sided gas fireplace, his and hers walk-in closets, huge Kohler tub and shower plus bonus room which could be used as nursery, office, or custom closet. Lower level: 2 Guest BRs with Jack and Jill bathroom, 3rd BR with own bath. Office with incredible views and built in shelving, laundry room, gallery room, another den with built in TV, huge SHOP with cabinets and counter space all around. Central air, boiler room with 3 boilers, 17 zone in-floor radiant heat, 4+ car garage with 3 large closets for storage, and more above. Access to public lands right out your door. Unique opportunity to own what most only dream about! 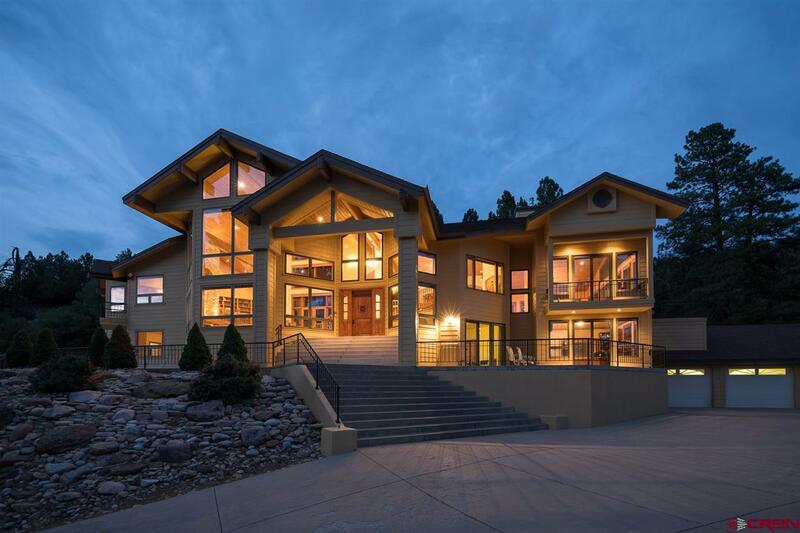 Utilities Avg/mo: LPEA $110, ATMOS $85, City of Durango sewer/water $99 HOA dues: $590/year. Roads and fabulous hiking trails maintained. Ponderosa pine trees, Gamble Oak as well as Pi'on and Juniper.